The former truck driver involved in the recent terrorist truck attack that killed eight people in New York City appeared in court Tuesday and entered a plea of not guilty on all charges related to the Oct. 31 attack. Sayfullo Saipov, 29, was indicted on Nov. 21 and charged with eight counts of murder, 12 counts of attempted murder, one count of providing material support to Islamic State and one count of violence and destruction of a motor vehicle resulting in death. 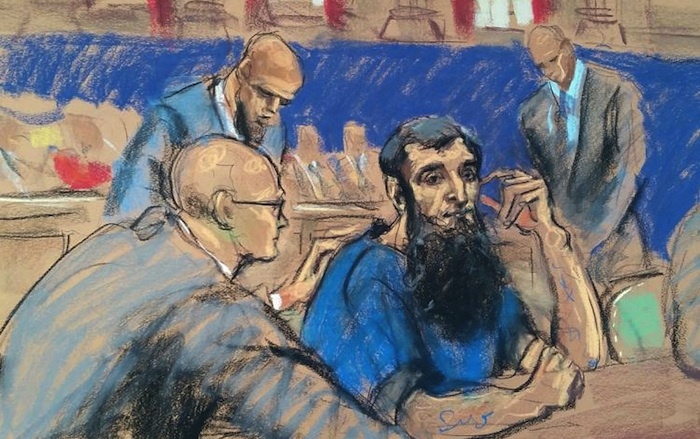 Saipov was arrested immediately after using a rental truck to plow down a crowd of people along a bike path on Manhattan's West Side. 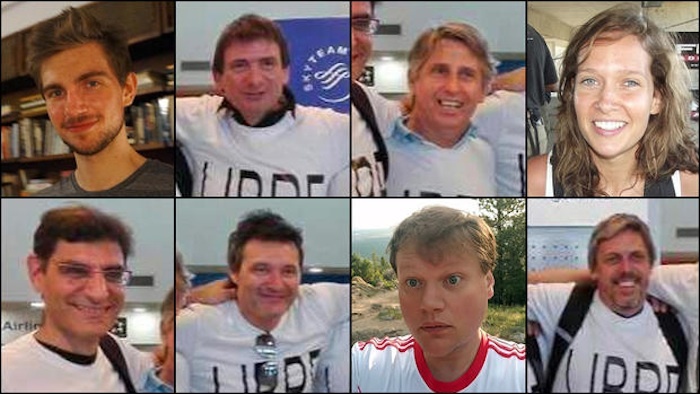 Eight people were killed; including five Argentinians who were in New York to celebrate their 30-year high school reunion, a Belgian woman, a New Jersey man and a local man. Within minutes following the attack, Saipov was shot by an NYPD officer and then transported to hospital in police custody. According to the criminal complaint filed by prosecutors, Saipov was extremely open about his beliefs and told investigators he had started planning the attack a year earlier after being inspired by watching Islamic State videos. The complaint also said Saipov went into detail about being particularly motivated by a video where Islamic leader, Abu Bakr al-Baghdadi, encouraged Muslims in the United States and elsewhere to support the group's cause. The document also alleges that Saipov said "he felt good about what he had done" and asked for permission to display the flag of the militant group Islamic State in his hospital room. The Islamic State also claimed responsibility for the attack although officials have not confirmed whether or not they believe the group was actively involved. It also remains unclear whether prosecutors plan to seek the death penalty although President Donald Trump has repeatedly made his opinion clear on Twitter that Saipov definitely deserves to die for his crimes. While there are many who certainly agree, Trump’s tweets have raised concern amongst legal experts who warn that a president should not make statements that could significantly taint a potential jury pool and effectively deny the defendant’s legal right to a fair trial. Saipov became a legal permanent U.S. resident in 2010 and was said to be a hard working truck driver and a “good guy” to those who knew him the first few years after he arrived. A friend of Saipov’s who knew him while living in Ohio also told media that he was easy going and didn’t seem to be very religious at all. The friend then explained how everything changed when a driving violation made it difficult for Saipov to get trucking insurance and he stopped getting hired for jobs. According to the friend, Saipov became increasingly stressed, depressed and more extremist in his religious views. Saipov's sister also recently told Reuters in a phone interview that her brother was a completely different person and she believed he had been "brainwashed." The next hearing in Saipov's case is set for Jan. 23. He is being represented by a court-appointed public defender who declined to make any statement following Tuesday’s hearing.